Thomas Everard, from The Bransford Webbs Plant Company, has won a place on the IPPS European Regional Annual Conference, taking place this year in The Zundert Region of the Netherlands. 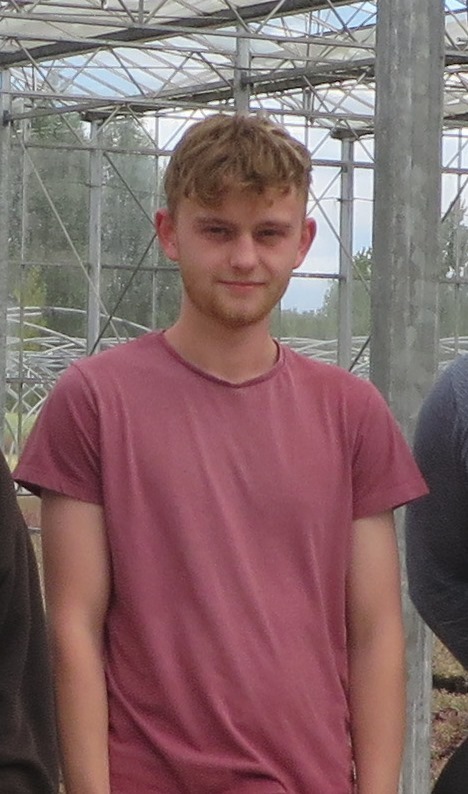 Thomas, 19, an apprentice at Bransford Webbs, who has ownership of his own area on the nursery, impressed the judging panel with both his personal and employer statement, earning him a well-deserved place at the conference. The three day-long conference, titled ‘Built to Adapt’, starting on Wednesday 10th October, is based in Breda, Holland and offers a range of lectures and visits. The trips include visits to the largest landscape supplier in Europe, an innovative young plant producer and a tour of the production and research facilities of Redusol Systems, whilst talks cover a range of topics including Robot Learning Systems for Horticulture, a Global View of the Industry, New Breeding and the Use of Drones on Nurseries. The 6 pack award, available every year to young horticulturists or those new to the industry, working in or studying commercial horticulture, offers the chance for six recipients to attend the conference. This gives the ‘6 packers’ a unique opportunity to meet other growers and industry experts, visit nurseries and see the latest practices and innovations in the industry first hand. Karl O’Neill, Bransford Webbs Propagation and Technical Manager, and IPPS committee member, who will be delivering a talk at the conference on ‘Traceability in the Supply Chain’, commented “The IPPS conference is a fantastic opportunity for anyone within the industry, let alone young people new to it, to meet growers from across Europe, watch presentations on the latest industry topics, and visit excellent nurseries”.